Hello everyone, and what do we have today? 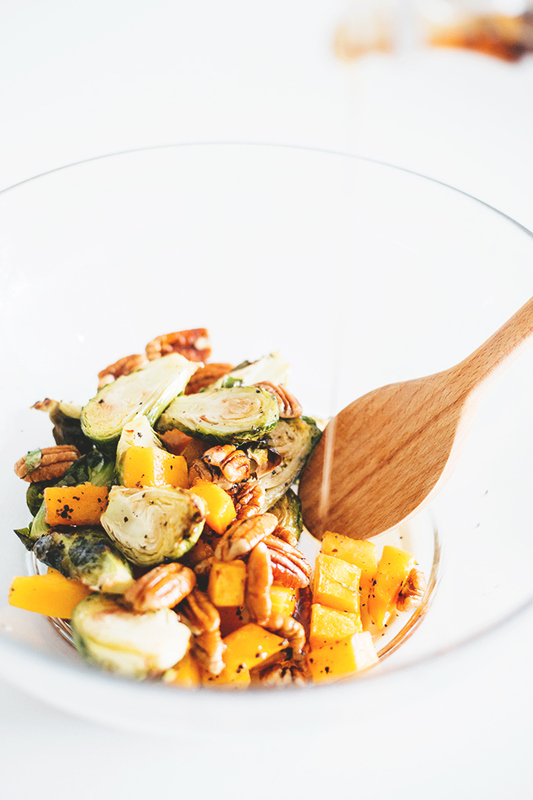 Maple Roasted Brussels Sprouts and Butternut Squash with Pecans is what. I absolutely love how low in calories Butternut Squash is, and what better to add to it that Brussels Sprouts. A little secret – I used to ABHOR Sprouts, but these days I love it, especially when they are roasted and slightly charred. These Maple Roasted Brussels Sprouts are a waist friendly side that you can make as a side to a meal or as a salad in itself. 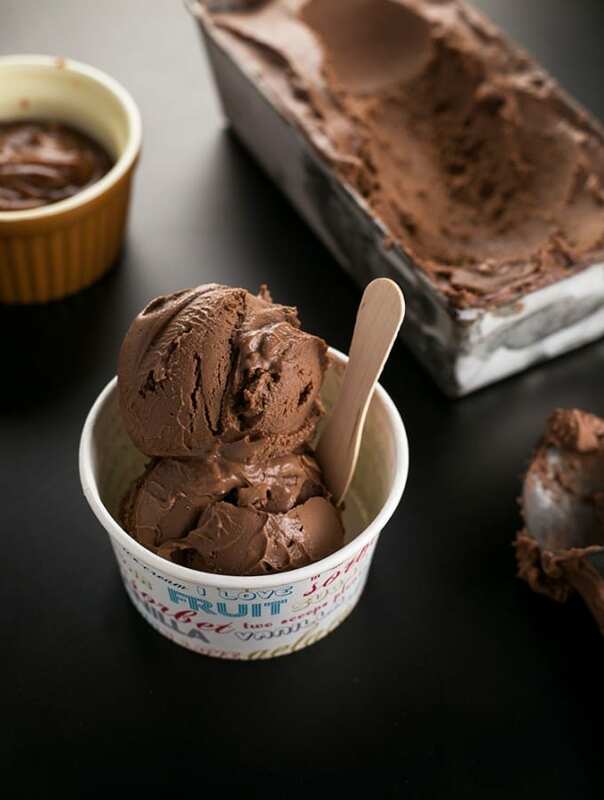 This recipe is fool-proof, something your kids could probably make without a sweat as well. We start off with some Butternut Squash and Brussels Sprouts. Duh. Into a bowl they go, along with a tiny glug of Olive Oil, Maple Syrup and copious amounts of seasoning. Toss toss toss, and into the oven it goes. Simple as! 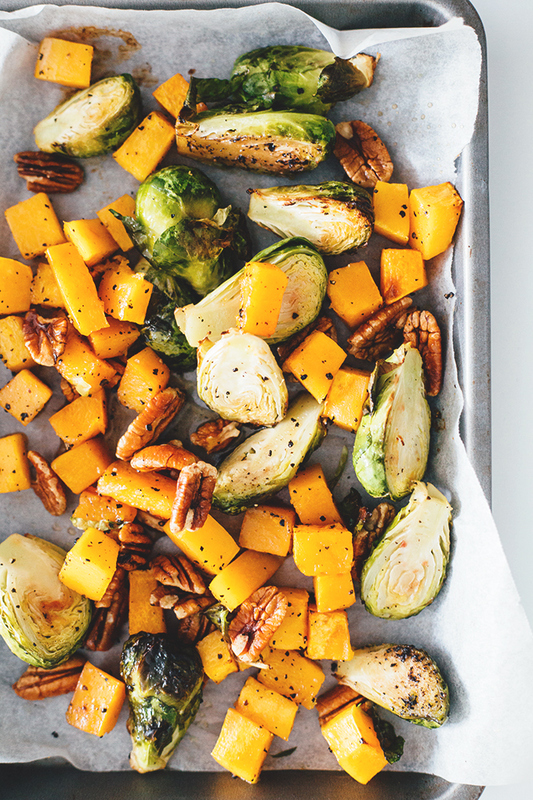 Once tender, your Maple Roasted Butternut Squash and Brussels Sprouts get showered in a little more Maple Syrup, before being adorned with some crunchy Pecans – all in the name of texture and flavor. Served warm, this is the perfect side to a Tofurkey Roast or whatever the hell you have decided to make for your evening binge. 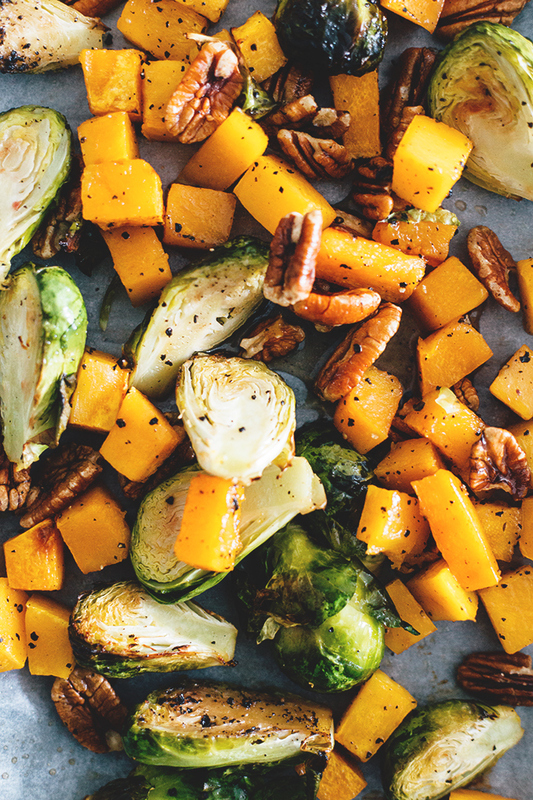 My Maple Roasted Brussels Sprouts and Butternut Squash with Pecans are Vegan (omg do I still have to mention this?? ), Low in Fat, Gluten Free, warm, hearty and pretty damn delicious for something that requires so few ingredients. Even the Brussels Sprouts haters will love this shyt. Or not. Haters gon’ hate. 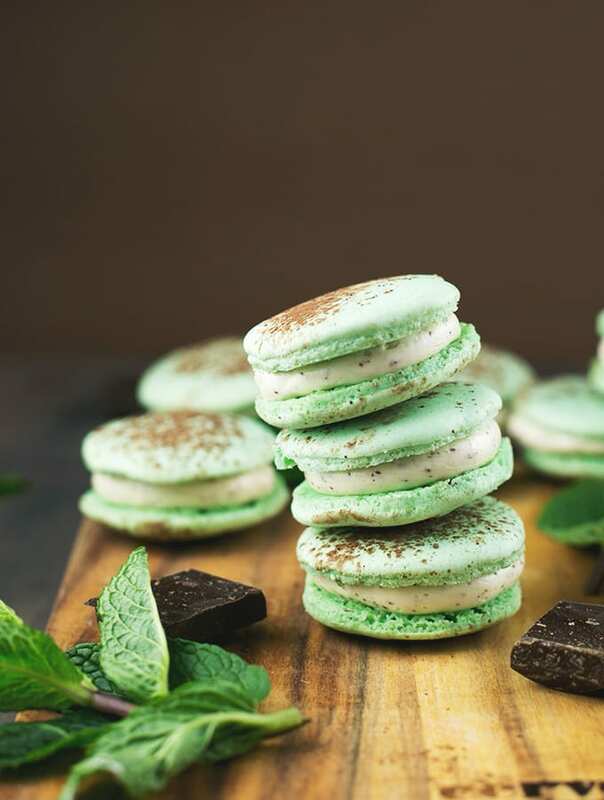 Scroll down to grab the full recipe! 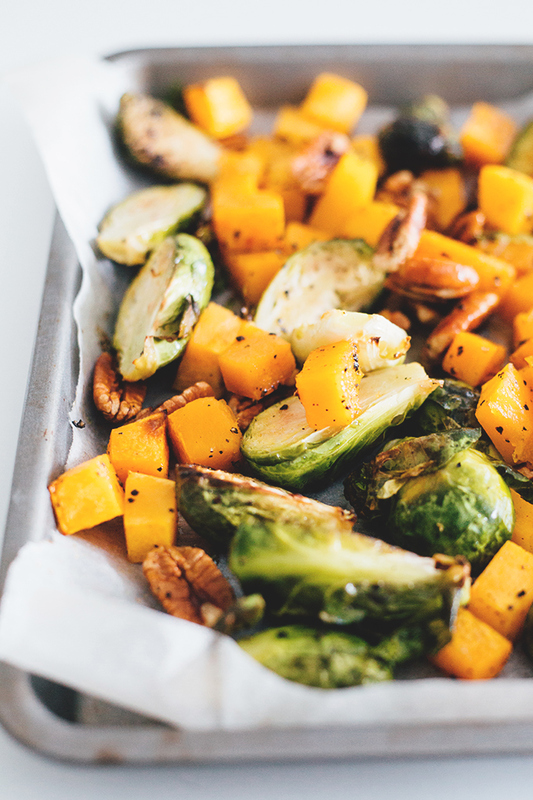 Healthy Maple Roasted Brussels Sprouts and Butternut Squash with Pecans. A hearty and delicious holiday side dish in under 30 minutes. Preheat oven to 180 degrees Celsius. Line a baking sheet with non stick baking paper and set aside. 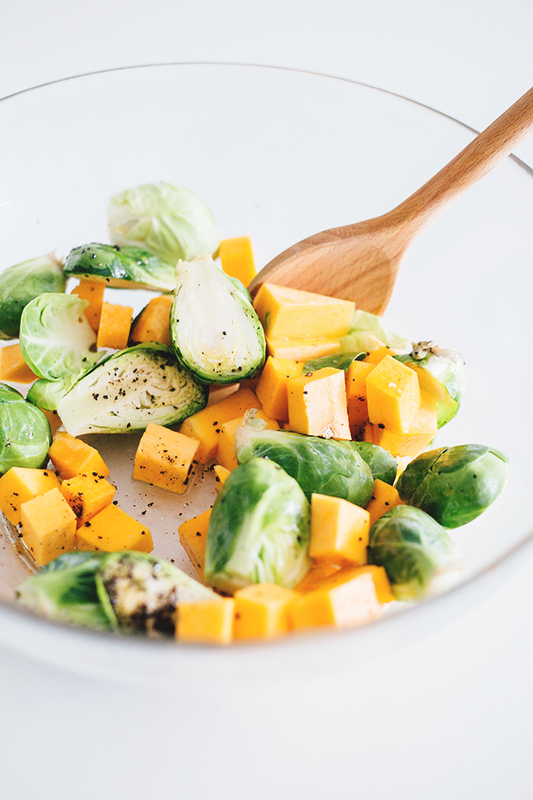 In a large mixing bowl combine Butternut Squash, Brussels Sprouts, 1 tbsp Olive Oil and 1 tbsp Maple Syrup. Season liberally with salt and pepper and toss to coat. Spread evenly on the prepared baking sheet and bake in the oven for 25-30 minutes or until the edges are brown and the veggies are tender. Remove tray from oven and toss in halved Pecans along with the remainder 1 tbsp Maple Syrup. Toss gently to disperse and serve warm. 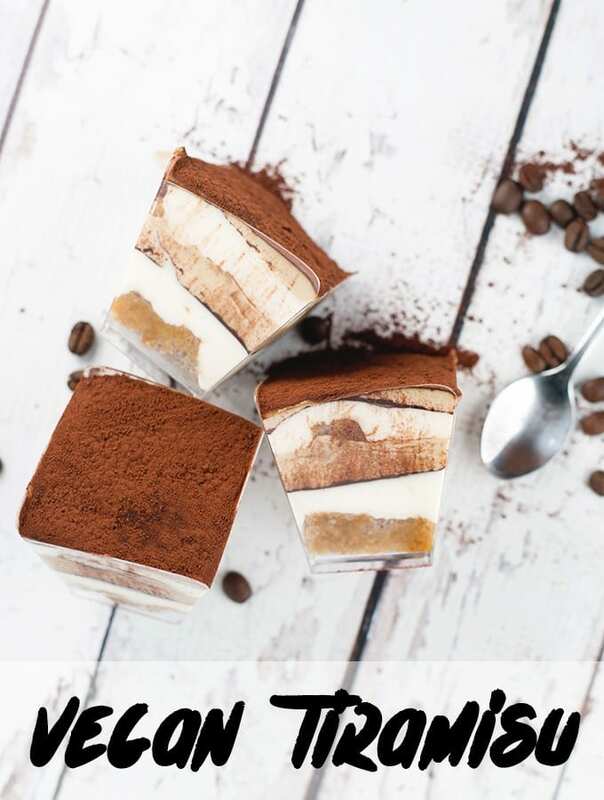 I'm making this dish tonight. I have some sprouts to use up and will substitute the sweet potatoes I have for the squash I don't! 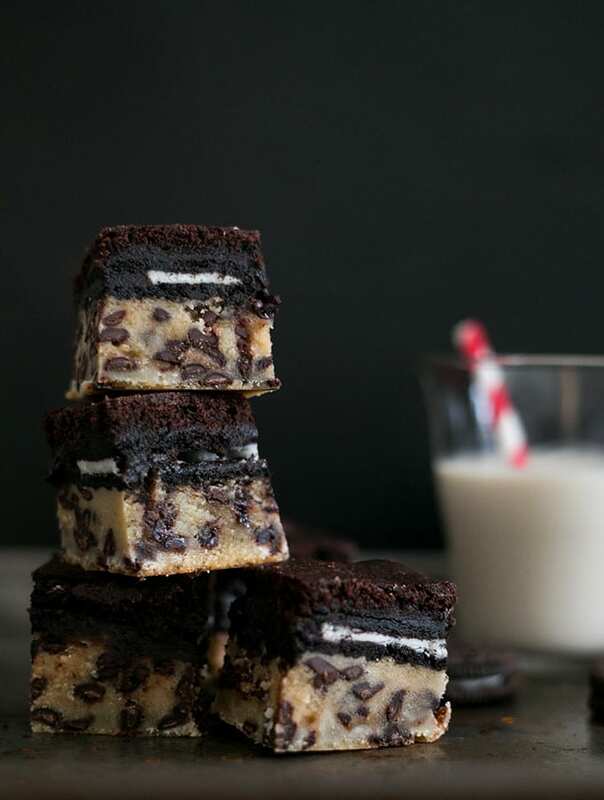 Your recipes never disappoint. I made this and added some onions into the bake. It was awesome. Will definitely cook again. Hello Hanne! Thank you for that lovely comment, I hope you all enjoy it!